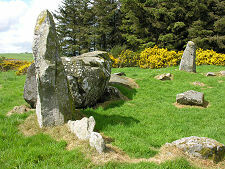 Aikey Brae Stone Circle stands at the summit of Parkhouse Hill and is the most original, complete, and "unimproved" stone circle on view in northern Aberdeenshire. It is reached via a signposted minor road that heads south from the B9029 approximately mid way between Maud and Old Deer. Another sign points up a track which leaves the minor road at a corner, and parking near the corner without causing an obstruction is just about possible. 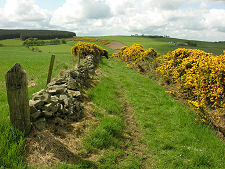 The narrow track is closely lined by gorse, and climbs east up the hill. 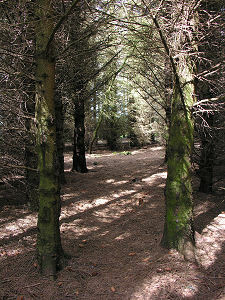 Near the summit you turn right along a path that leads to a densely wooded copse, which you enter, half wondering what a stone circle is going to feel like in such dark and enclosed surroundings. 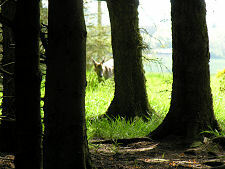 You never find out, because the vague path you are following actually traverses the copse, emerging onto the open hilltop where you find the Aikey Brae Stone Circle itself. The loneliness of the surrounding countryside means that, if very lucky, you can find yourself encountering Roe Deer here: though only very fleetingly if you do, for they are the shyest of creatures. 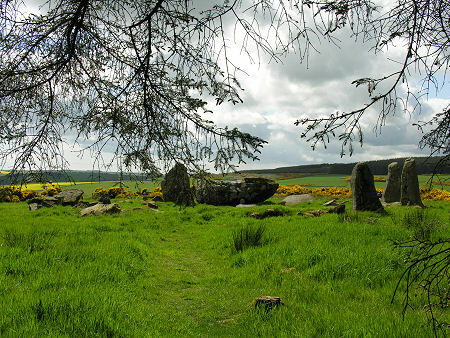 Like Aberdeenshire's other recumbent stone circles (i.e., stone circles whose largest stone is lying down), Aikey Brae was built by a farming community some time around 4,000 years ago. It was probably built as a means of charting the passing of the seasons by plotting the lunar cycle. 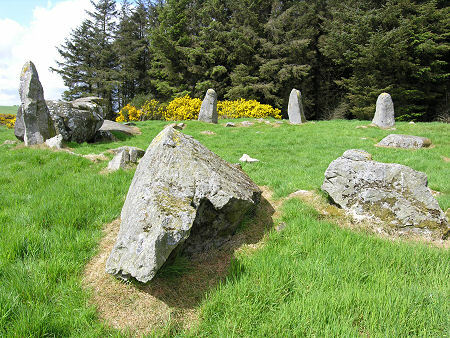 The usual pattern was for these circles to fall out of use within a few hundred years, then for later generations of residents to use them as cremation cemeteries, eventually building a cairn in the centre of the circle. It is not clear whether that happened here, because although the circle itself is relatively undisturbed, the same cannot be said of the area within it. A dig in the centre of the circle by Charles Elphinstone-Dalrymple in the 1800s revealed little of value and probably removed any evidence that might be available to later archaeologists. The circle itself comprises ten stones and covers an area of 14.4m in diameter. 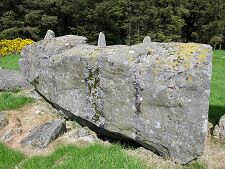 The recumbent (probably) weighs 21.5 tonnes, and like its flankers, the upright stones standing at either end of it, is made of whinstone that must have been transported here from some distance away. 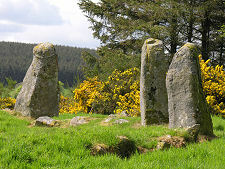 The remaining stones are made of local granite and are graded in size, with the largest being next to the flankers and the smallest opposite the recumbent.